The government and the National Bank of Ukraine reached an agreement with the IMF over a $US 16.5 billion loan last week, issued on the condition that the government will pass structural reforms to address the current economic crisis. 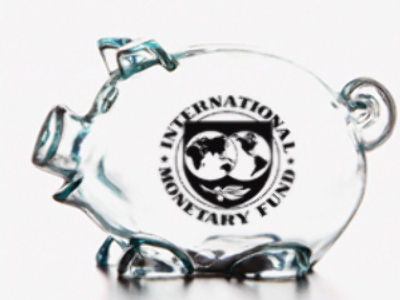 However, the IMF Board can grant the loan only after the Ukrainian parliament passes amendments to the Ukrainian laws on restricting budget spending and supporting the banking system. Due to the continuing dispute between President Yushchenko and Prime Minsiter Yulia Timoshenko the parliament so far failed to pass the necessary bills.